Should the Hurricane Scale Be Changed? When Hurricane Florence came ashore in September, 2018, many people thought it wouldn’t have lasting effects because it was a Category 1 on the hurricane scale. Above is a view of Hurricane Watches and Warnings as Hurricane Florence approached the U.S. coastline. If you’d like to access our weather map, Sferic Maps, to track current tropical conditions and warnings, please click the link below. We use a hurricane scale to help us gauge how much damage a tropical storm will bring. However, the current scale only measures wind. This is a problem when the most damaging impacts of a hurricane, rain and storm surge, aren’t involved! Keep reading to find out more about the current hurricane scale and what a new and improved scale might look like. The current hurricane scale we use is called the Saffir-Simpson Hurricane Wind Scale. The scale dates back to 1973 and is meant to easily convey the strength of a tropical system in terms of its maximum sustained winds. While effective in that regard, the overall scope and impact of the storm gets lost behind a single number based on a single variable. As we mentioned briefly above, hurricanes contain three conditions that make them so dangerous and deadly. “It’s just a Cat 1” is a phrase spoken by many who choose to stay behind during an evacuation when a hurricane is about to make landfall. Cat, short for Category, refers to the maximum sustained winds within a hurricane. Derived from the Saffir-Simpson Hurricane Wind Scale, hurricanes are given the status Category 1-5. 5 has the strongest sustained winds. Long-time coastal residents of North Carolina have likely seen several of these “weaker” Cat 1 hurricanes in their lifetime. One only needs to go back to Hurricane Arthur in 2014. This storm made landfall as a Category 1 before quickly sliding northeastward just off the rest of the East Coast. 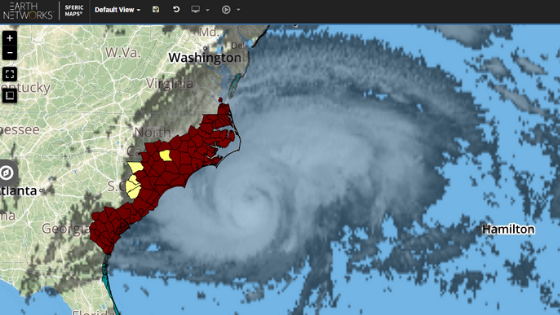 Irene in 2011 was another Category 1 landfall in North Carolina. With so many hurricanes impacting eastern North Carolina over the years, watching Florence get downgraded from a Category 4 hurricane to a Category 1 just before landfall may have been a huge sigh of relief to many along the coast. However, despite the downgrade, it wasn’t the winds that meteorologists were most worried about. Hurricanes Are More Than Just Winds! Several days before Florence made landfall on September 14 at 7:15 a.m., forecast models were strongly hinting at the potential for 1 to 3 feet of rainfall over the Carolinas. This was the case for a few reasons. Firstly, Florence was taking an atypical path. Normally, hurricanes come into North Carolina from the south. However, Florence looked to approach from the east. The second factor was stalling. Florence looked like it was going to stall over the eastern Carolinas. As it approached mainland, this became more apparent. Believe it or not, it’s actually easier to forecast rainfall potential than wind speeds. When we’re a couple of days out from a hurricane, we have a better idea how much rain is going to fall. This is due to weather models. In fact, determining the intensity of winds within a hurricane multiple days into the future is one of the most difficult parts of forecasting a hurricane. Everyone paying attention to more than just Florence’s category knew that a prolonged period of heavy rain was heading into the Carolinas. Storm surge and rainfall are the deadliest parts of a hurricane. While still deadly, hurricane-force winds don’t cost nearly as many lives. More than a week after landfall, heavy rain and flooding from Florence is keeping major interstates and roadways in eastern North Carolina under water days after the rain had ended. The rain was by far the greatest impact of Florence. Think back to Hurricane Katrina. This devastating storm killed over 1,400 people in it’s path. A majority of these deaths weren’t due to the wind but to the terrible flooding. Heavy rainfall caused levees to break. By August 31, more than 80% of New Orleans was underwater. Flooding is almost always the most devastating impact of a hurricane. Once the storm leaves, flooding stays and continues to cause problems for those left in the storm’s wake. What Can We Add or Change? So what can be done about the current hurricane scale? 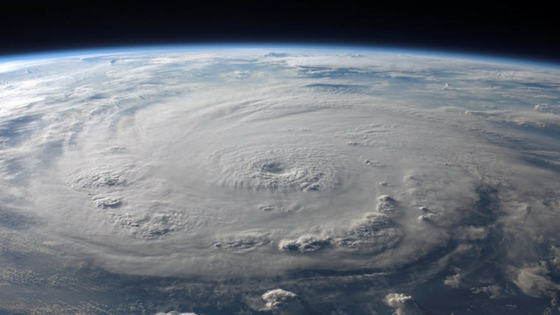 While meteorologists are looking into different ways to categorize storms, there is not necessarily a one-size-fits-all rating system for hurricanes. 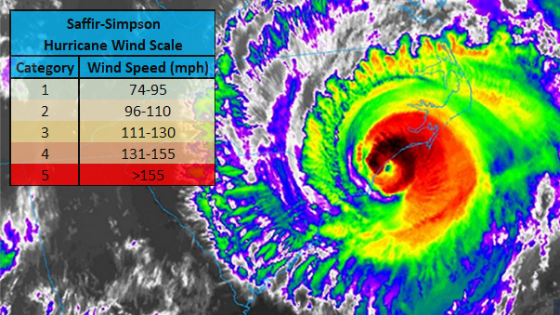 Joel Achenbach and Emily Wax-Thibodeaux describe a potential new scale in their Washington Post article, “Hurricane Florence, ‘just a Cat 1,’ reveals flaw with Saffir-Simpson scale.” This scale would use a storm’s wind speeds combined with the total area these winds cover. We call this area the integrated kinetic energy, or IKE. While useful in showing a storm’s broader wind impacts, this categorization also has it’s shortcomings. It does not specifically mention peak winds. It also keeps storm surge and rainfall from being determining factors of the potential categories. 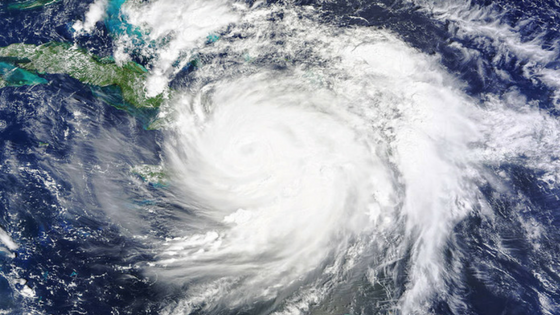 A separate hurricane categorization system may be needed specifically for impacts over land. Many articles and broadcasts lead their stories with the hurricane’s category. A lot of times, viewers tune the rest of the information out after they hear the category. While meteorologists heavily stressed the significance of the storm surge and heavy rain, this message did not get to as many people. A second category specifically for land impacts may improve communication, but any such solution is not coming in the near term. It could also look like the The Northeast Snowfall Impact Scale (NESIS). We use NESIS to categorize a winter storm’s impact after it occurs. This scale considers things like the total population impacted. That might be an important factor to include in a new hurricane scale. Until a new system exists there is really only one thing we as meteorologists and broadcasters can do. We need to continue to stress the impacts beyond the category and winds of a hurricane. It might help to change the order of messaging and start with safety messages first. As residents, business owners, and government officials, there are a few things you should do when a hurricane is headed your way. First of all, remember to always listen to the full message when a tropical system approaches. That way, you hear more than just the categorization. We also recommend having a hurricane supply kit on hand in case you have to evacuate at a moment’s notice. Please also think of your community and potential ways you might be able to help after a hurricane passes. Remember, the category of a storm does not always accurately forecast how “bad” it’s going to be in your area. Listen to meteorologists and do not underestimate Mother Nature.